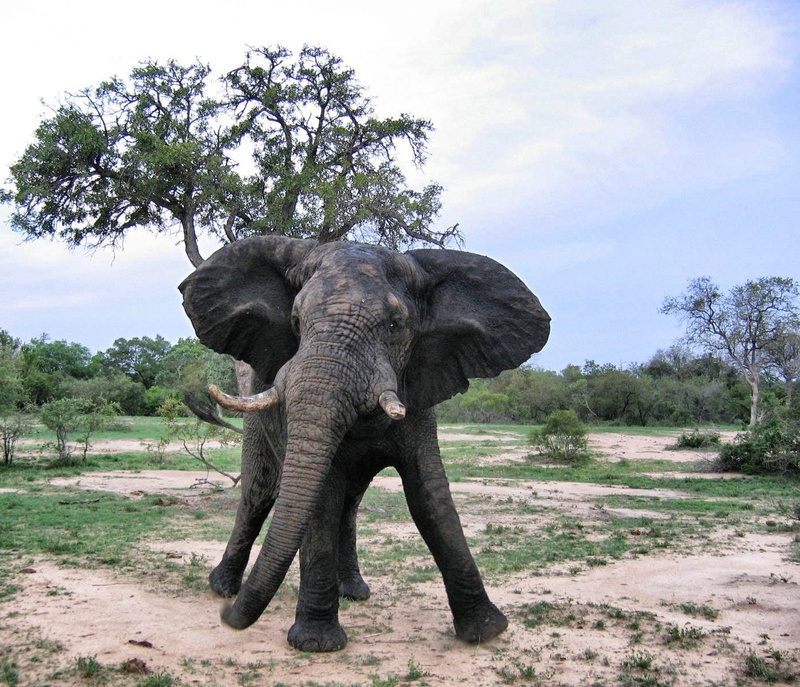 Photo taken in Tanda Tula Private Reserve, South Africa 2005. Oh my, that is an awesome close photograph! Shared on Facebook. Why thank you!!!! 🙂 Nicole It was a bit of a surprise and now that I’m home I’m surprised I’m wasn’t nervous or worried! Oh traveling! whoa … that’s a little too close! great shot, though! You are probably right! But “When in Rome” right?! Your submissions are always welcome! Looking forward to getting some new stuff soon! I will take a look and post the ones that haven’t been posted. I will let you know when they are up! Wow! That IS close! Fabulous shot Nicole! Thanks Madhu! I loved the huge ears too! That’s too big, too close!!! Squeak! That is flipping awesome, Nicole! I’m doing a happy dance at the awesomeness of this photo. Love love love it! Looks like he got close enough! Yes indeed! Good thing it didn’t get any bigger!